It was a day of firsts for Oliver’s Real Food Racing’s Jesse Featonby. The 31-year-old from Aubrey in NSW, was part of a 15 strong chase group trying to close the gap on race leaders EVO Pro’s Aaron Gate in the yellow jersey and Team Nero Bianci’s Jay Vine who lead by 48 seconds heading into the second lap up the steep and windy Maungakawa Hill. 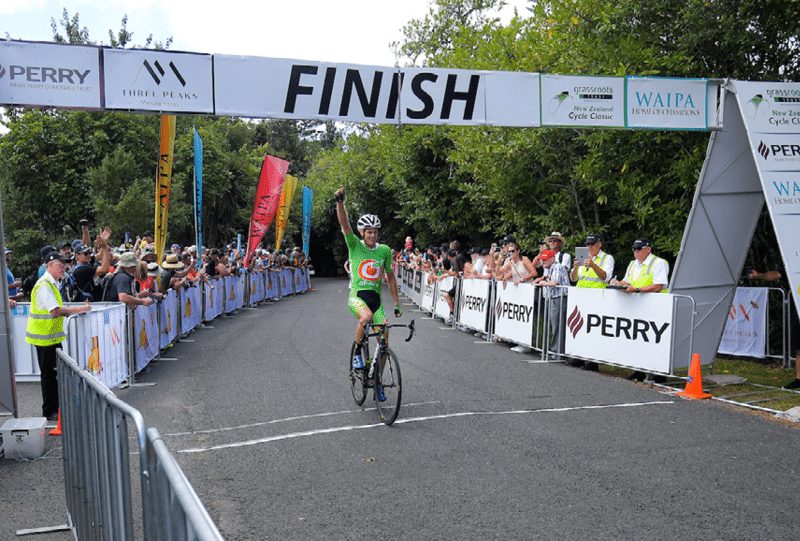 But with 1km to go, Featonby backed himself to take the win.